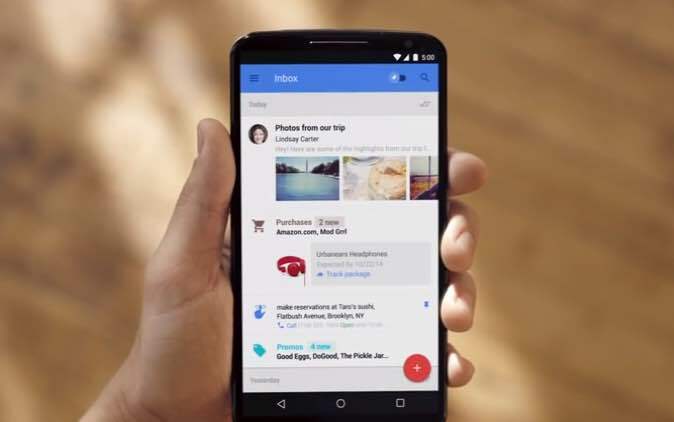 Google has updated their Inbox By Gmail app and the latest version of the app comes with a bunch of new features. The new features in the latest version of the app include an update to Google Calendar events that lets you see an overview of your event when you tap on it. Life can get really busy. Inboxes too. Just think about everything inside your own inbox, from personal messages and trip itineraries to promotional offers and yes, even bills. It’s all (mostly) important, but it can be overwhelming to stay on top of everything. And sometimes, you might miss something really important amidst all the rest. Starting today, you’ll discover three new experiences in Inbox—streamlined events, glanceable newsletters and saved links—that help you better keep track of things that matter to you and feel more in control. Another new features is the ability to preview email news letters more easily, plus a new save to inbox feature for links, which allows you to save a link in your inbox for future reference. You can find out more information about the latest version of Inbox By Gmail over at the Gmail blog at the link below.